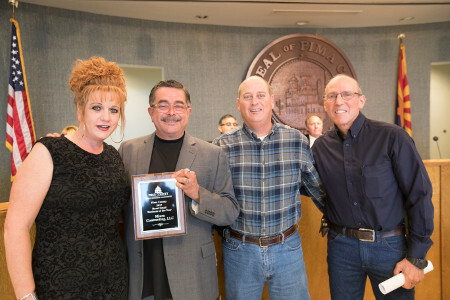 The Pima County Board of Supervisors honored the winners of the Small Business Commission Small Business of the Year Awards at the February 20 meeting. Rural: Miura Contracting (pictured right top) – a general and subcontractor that specializes in commercial concrete projects. The company has 15 employees and has been in business for 10 years. Urban: KoolAir Industries, LLC (pictured right middle) – an HVAC ductwork fabricating company that uses lightweight, pre-insulated material. The company has 12 employees and has been in business for two years. 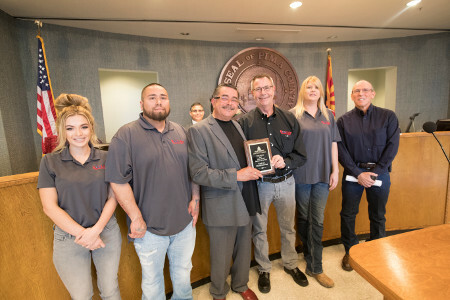 Nonprofit: Pima Community College Small Business Development Center (pictured right bottom) – the organization provides one-on-one counseling for small business owners to help them grow and thrive. The Small Business Development Center has four employees and has been active for 15 years. Each winner also received a $500 prize and a plaque. 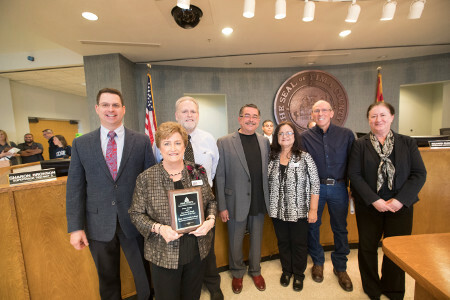 The Pima County Small Business Commission presents the awards each year to small business who stand out in the community. The applicants were assessed on criteria such as company culture, positive impact on Pima County and community involvement. 2015: Rural Award – Bling by Design; Urban Award – Aztera, LLC.